brandflakesforbreakfast: read a book. grow a tree. read a book. grow a tree. Encouraging children to read is critically important to their development. Encouraging children to help save the environment is well, critically important to the world! Combining the two initiatives, successfully, is of brilliant! 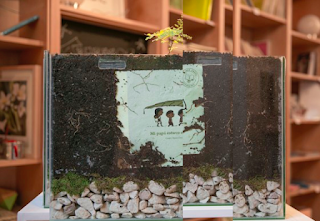 The Tree Book Tree program publishes children’s books that grow into trees when planted! The books are made out of acid-free paper, silk screened and printed with ecological ink. Now that’s bringing something full circle!